New Campaign: Can you save the Terrorized Town!? Have fun and creepy settling! Let the jack-o'-lanterns flicker in the feedback thread. Last edited by BB_Odhran; 10-18-18 at 06:08 am. Removal: Check removal phase details as event resources and Halloween items are available only for a limited time! After reading your further feedback regarding Seasonal Adventures, we'll be making a few changes this year: the adventures below will drop twice the normal amount of resources, refills and now twice the amount of experience points upon completion! 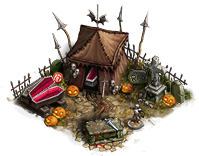 This year's Halloween Event will also feature a brand new and exiting Campaign Quest Chain: The Terrorized Town! These short adventures will all feature on the same island - this allows us to fine-tune the balancing for all level ranges; using the Black Knights adventure as a baseline point of reference. Don't underestimate this challenge: this small island is full of surprises! Not everything will be as it seems: the line between friends and foes will blur - you'll need to keep your wits about you if you wish to uncover the true sinister villains behind the town's woes. Will you heed the call for aid from this small and vulnerable town? Defend its citizens, find the source of these ghastly creatures and put a stop to them! After all - your ethereal detective skills will be handsomely rewarded with one of our brand new buildings, but more on that further down . Last edited by BB_Odhran; 10-24-18 at 01:31 am. 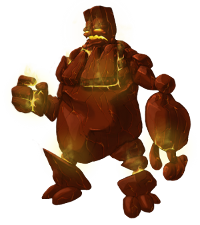 If your level is within 19 - 25 range, you will have to defeat the Rock Golem, which will respawn five times, getting more powerful with each respawn. If you don't level-up to 26 in the meantime, the last Rock Golem will keep respawning. Use Purified Water in order to defeat it. The production of Purified Water in the Provision House / Rarity Provision House will cost you 20 Water and 20 Copper ore. 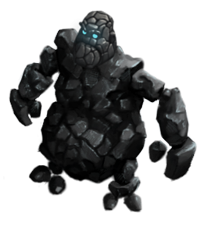 If your level is within 26 - 40 range, you will have to defeat the Rock Golem five times - careful, they will again get more powerful with each respawn! Only after having defeated it for the fifth time will the next type of Golem show up: the Greater Golem, which also has 5 difficulty levels. If you don't level-up to 41, the Greater Golem will keep respawning. Use Enriched Water in order to defeat it. The production of Enriched Water in the Provision House / Rarity Provision House will cost you 40 Water and 20 Iron ore. If your level is within 41- 55 range, you will have to defeat the Rock Golem and the Greater Golem five times. It's getting more and more challenging! Only after having defeated the 5th Greater Golem will the Ancient Golem appear, with 5 difficulty levels. This Golem will keep respawning as well if you don't level-up to 56. Use Holy Water in order to defeat the Ancient Golem. The production of Holy Water in the Provision House / Rarity Provision House will cost you 60 Water and 20 Titanium ore. If your level is 56 or more, you will have to defeat all the previous Golems five times. The Supreme Golem - will then make its majestic appearance and will keep respawning. Use Glistening Water in order to defeat it. 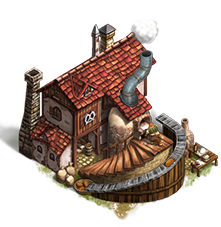 The production of Glistening Water in the Provision House or the Rarity Provision House will cost you 100 Water and 25 Platinum ore. It takes 16 hours for each Golem to respawn and in the meantime, you can prepare the buffs in order to defeat it. This might get overwhelming, but don't fret, friends are here to help you out! Your friends who are above level 19 can produce any of these buffs and fight the Golem for you. When its HP reaches 0, a button for confirming the Golem's defeat will be enabled. Only you, as the island owner, can press that button and only after pressing it will the Golem disappear. You and your friends can also "overbuff" the Golem with more buffs than it is required, with no further effect. Dear TSO novices, here's what you need to do. In order to witness the appearance of the Rock Golem, make sure the middle area of your home island is revealed; put that explorer to work! Remember, you can only see the Rock Golem if you are below level 19, but you cannot fight it, nor can you produce water buffs. We don't want you to miss out on all the fun, so get the game rolling and reach level 19! Last edited by BB_Odhran; 10-17-18 at 04:01 am. Description: A General who recovers twice as quickly from defeat and travels twice as quickly to adventures. He attacks enemies in combats via first strike and deals area of effect damage. Description: Finds an additional deposit whenever possible. Description: This is a specialist with the same values as the Battle Hardened General, but a different appearance. Description: A General who is "Crazy for Explosions" and gives the Demolition ability to your units, as well as increasing the damage of heavy units. Last edited by BB_Odhran; 10-17-18 at 06:16 am. 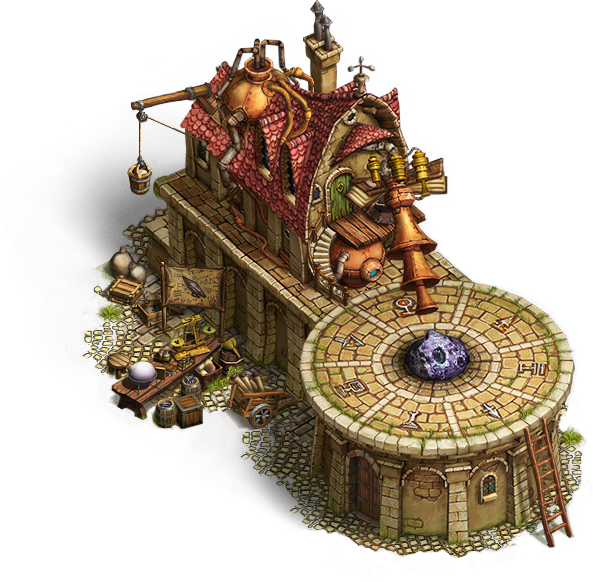 The Laboratory enables various resource conversions and is also rewarded by completing the new campaign quest chain; this reward is unique in that it does not count towards the shop limit of 1 per player. Additional Laboratories will increase the production speed of these conversions. It costs 3,999 Pumpkins and you cannot trade it or send it as a gift. The Haunted Mansion increases your population limit by 145, while also having some other spooky surprises when you interact with it. It's limited to 3 per player. It costs 2,450 Pumpkins and can be traded, but it's not giftable. 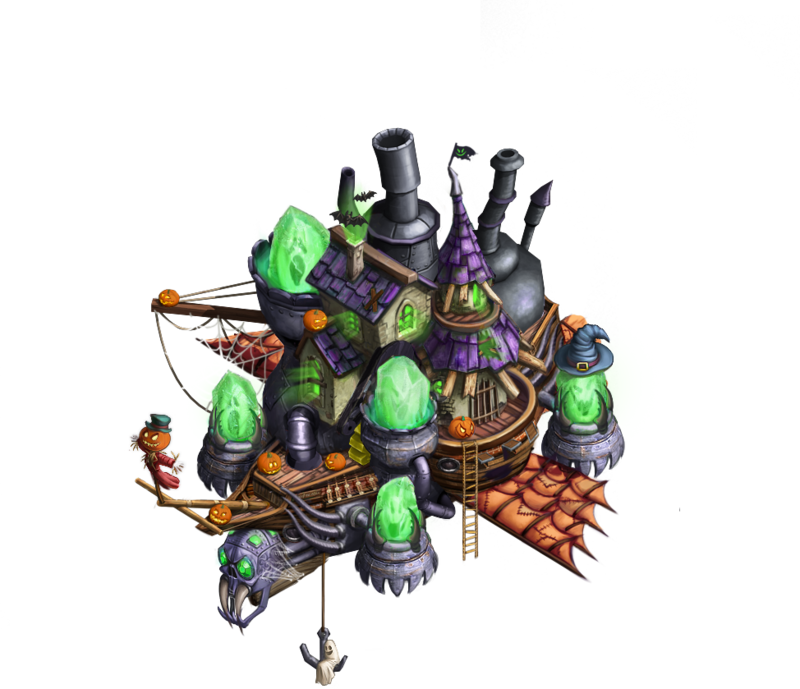 You can build them on your island: not only do they provide Pumpkins, but they also contribute to the Halloween mood! The Pumpkin cemeteries can only be refilled with "Pumpkin refillers". If you're wondering how you can get those precious refillers, you should play adventures: not all of them offer Pumpkin refillers, but most of them do. You can find the complete list in the in-game Event window. There's another thing that can happen to your Pumpkin cemeteries: they can deplete. 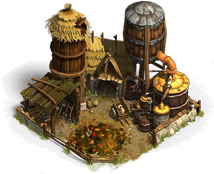 If that is the case, you can purchase Fertilizer from the in-game merchant to revive them. It costs 75 Pumpkins and it revives the depleted cemetery with 10 Pumpkins. This might look like a bad deal at first, but you will be able to use refillers and buffs again on a restored cemetery. Description: Produces meat without using a meat deposit, twice as fast than the regular Deerstalker Hut. 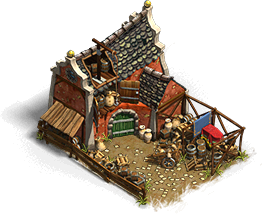 Description: Speeds up the process of getting new settlers in your village. Description: Replenishes wheat fields over time. 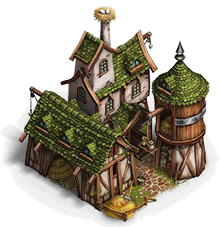 Description: Another type of Storehouse that provides 3 times more space for resources than a standard one. 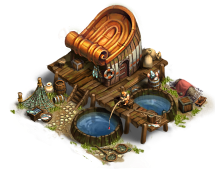 Description: A scientific state-of-the-art fish farm: it doesn't require a deposit to produce fresh fish. 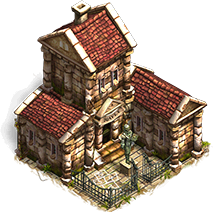 Decorative building: Have a Pumpkin Cemetery on your Island all year! Description: Spook your island's visitors and be in a Halloween mood. 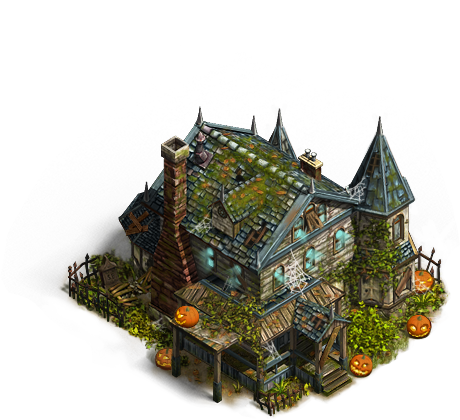 Description: Increase your island's spookiness and help get everyone in the Halloween mood. Last edited by BB_Odhran; 10-19-18 at 03:17 am. New to this year's event is an exclusive Halloween themed skin for the Excelsior. Don your floating ship with pumpkins and cobwebs to take part in this ethereal celebration. It costs 50 Pumpkins for a temporary 5-day buff, or 995 Pumpkins if you'd prefer to have it look that way permanently! Both versions are tradable and giftable. Effect: Increases movement speed of generals in the zone by 20%. Description: Be careful with this! One mishap may turn dozens of your settlers into zombies. Effect: Use on Barracks and speed up recruiting time x4 for two hours. Effect: The affected building cannot be buffed as long as Trick is in effect. Effect: It removes the Trick effect from a building. It also buffs the targeted building (+300% production for 2 hours). Effect: +200% output to a Pumpkin Cemetery for 6 hours. Effect: +300% output to a Pumpkin Cemetery for 6 hours. Effect: +300% to the production of a workyard. The effect lasts for 12 hours. Effect: +300% to the recruitment time of Barracks. The effect lasts for 1 hour. Effect: Refills the Marble deposit. Amount: 1000 units. Effect: Turns day into night on the home island. Lasts for 7 days. Description: Provides one of 12 adventures that grants the chance to gain Pumpkins refillers. Last edited by BB_Odhran; 10-19-18 at 02:05 am. All of last year's achievements return, all of them rewarding Pumpkins. Pumpkin collectables will be guaranteed to spawn. Each time you click on a Pumpkin collectable, one Pumpkin will be added to your warehouse. Where have all the animals gone? Oh right, the zombies got them! Zombies and Ghosts will replace the wildlife on your island. It seems they learned to coexist in... creepy harmony? The event info window will show you the remaining time of the Halloween event. Also, the info widget is displayed on the left side. For the duration of the event, the in-game background music will be changed to different tracks. Several graphics will be modified, for example, the logo and the loading screen. WHAT HAPPENS IN THE REMOVAL PHASE? The core mechanisms of the event will be turned off, but the event shop category will remain until Deactivation. All quests, achievements and event-related collectables will be deactivated. The ongoing quests will be cancelled. Event Adventures will be cancelled and cannot be started anymore. Explorers will bring Pumpkins if they were sent before the Removal phase kicked in. New explorer searches will not bring any event currency. Golem respawns will be removed. Already spawned Golems can still be defeated, but there will be no reward for defeating them since the quests will have been cancelled at that point. 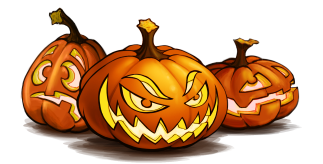 The Pumpkin refillers reward from adventures will be deactivated and the Seasonal adventures will return to their normal rewards. The creation of "Banshee's Scream", "Werewolf's Howl" and anti-Golem buffs are related to the Halloween event. Therefore this option will be turned off. If you started to produce an event item shortly before the Removal Phase kicked in, this item will be finished even after the Removal phase. The same goes for completed items: you can still pick them up after Removal phase. You can use the Banshee's Scream buff in order to get more Pumpkins before the Removal phase finishes. The buff effect will end and you won't be able to use such buffs anymore after the event deactivation. The event-related loading screen will be set to the default loading screen and the event window will be deactivated. The Halloween shop category will be deactivated. Pumpkins will not be visible anymore in the warehouse. Pumpkin collections will be removed from the Mayor's House. New trade offers containing Pumpkins can't be set up anymore. Already running trade offers containing Pumpkins will be set to invisible until they expire. Pumpkins remaining on each field, no matter if the fields have been built or if they are still in your Star Menu, will be converted to coins, along with all remaining refillers. No matter where the Pumpkin originated from (Cemetery, warehouse, mails etc. ), you will get 0.5 coins for 1 Pumpkin. Any Event Adventures in the Star Menu will be deleted. You can apply the unused Golem buffs on the Mayor's house to get a resource refund. We made a mistake - there will not be a 2x XP bonus from Seasonal Adventures and we're sorry if this raised expectations. Last edited by BB_Odhran; 10-24-18 at 01:32 am. Following today's hotfix, Seasonal Adventures will now provide the intended 2x XP bonus. Thank you for your patience and understanding!